Yo, ho, ho, and a bottle of rum! Ahoy there me lads and lasses! Are ye ready for another app review from yer friendly app pirate? ‘Afore me and the crew go back to sailing the seven seas and finding some treasures, I will give ye another app review that this old salt know you’ve been waiting for. The crew and I love having party at the good old Jolly Roger, especially when found loads of booties. We dance an drink rum all night! Har, har, har! 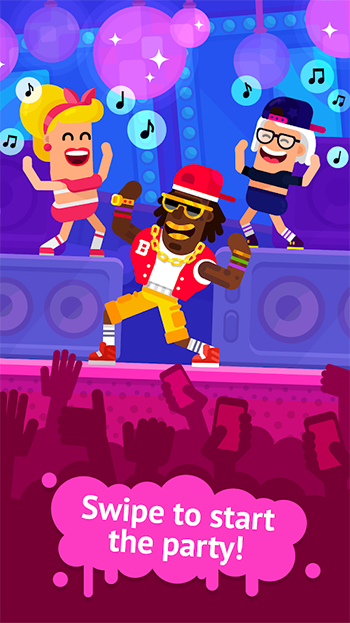 This app that that we will review has something to do with partying. ‘Tis called Partymasters by Playgendary. Let’s start with the review. Partymasters live by its name when it comes to giving that party vibe. 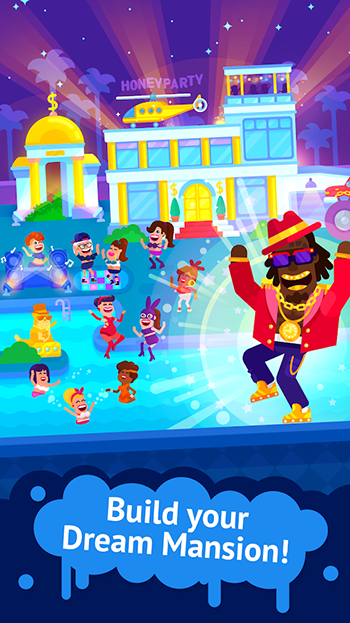 It has fun music that plays throughout the game that does not only make the game fun, but it will make you want to dance too. Although fun, it’s the same music that plays. Different fun music would be a good addition. Another good thing about this app is that it has vibrant and attractive graphics. There’s a party vibe going on, from the host of the party on stage to the crowd and the different guests that dance on stage. What’s makes it even more fun is that you can change the look of the main character. The dance moves of the dancers are also hilarious to look at. Watching them will give you a great time. There is no special skill to play this game so it’s appropriate for all ages and players with various playing skills. It just requires tapping on the screen. However, tapping faster is better because it will help you earn more cash. The game is just the same so it can be painful on the fingers if played for a long time. There are also no other missions or objectives, although the fact that you can unlock various clothes and accessories, and upgrade your party place is a good motivation to keep you playing. If there is nothing to do and you just want to keep yourself occupies, this is a good game to try. One of the problems with this game is that it has too many advertisements. Ads pop-up every less than a minute, which can be frustrating. A notification asking to invite friends to play the game also pops up every now and then that can take your focus away from the game. Ad removal is pricey, and so as the other in-app purchase offered. Partymaster is a free to play game that can be played by people of all ages. It has fun graphics and music that will keep you entertained. It can effectively help you kill time as you can play as much as you want. There is a lot of annoying advertisements that pop-up. The price of the in-app purchase is also ridiculously high. Partymasters is a fun casual time that is good for killing time. There can be ads every now and then, but if you can leave with them, then you could enjoy the fun music and graphics. The in-app purchases may be pricey, but you are not forced to buy them.